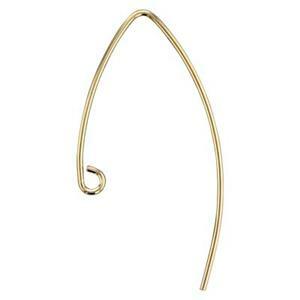 14/20 GF 8x20mm 21ga Earwires Jewelry Supplies. 10pc pack is the equivalent of 5 pairs. 14/20 GF 17.2x33.6mm 20ga V-Wire, 1.7mm Open Ring ID. 10pc pack is the equivalent of 5 pairs. 14.3x19mm 20ga Round, Coil, 2.3mm Open Ring ID. 10pc pack is the equivalent of 5 pairs. 10.5x26mm 21ga Hard Premium Earwire, Outside Loop. 10pc pack is the equivalent of 5 pairs.